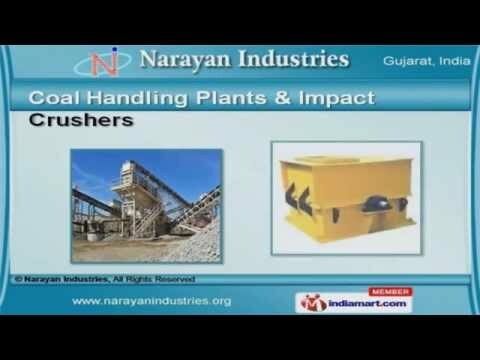 Welcome to Narayan Industries Manufacturer & Exporter of Materials Handling Equipments The company was incepted in 2010, at Ahmedabad. In-house R&D division & Certified & trusted vendor base help us to cater Middle East & other countries Jindal Deniam Ltd. & C. T. M. Textile Mills are some of our esteemed clients and we are supported by Superior quality products & materials We offer a vast range of Storage Silo, Coal Handling Plants & Impact Crushers. Coal Handling Plants & Impact Crushers offered by us are best in the industry amongst others. Our Materials Handling Conveyors & Impact Idlers are widely appreciated in the market. We offer Ash Handling Machines & Stainless Steel Tanks that are well known for their durability. Along with that we offer Bucket Elevator & Industrial Magnet Pulleys that are superior in performance We also provide Storage Silo, Industrial Storage Bunkers & Vibrating Screens that are a class apart.